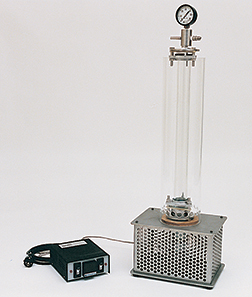 Heat Transfer Corrosion Assembly for evaluating effectiveness of engine coolants in combatting corrosion of aluminum casting alloys under heat transfer conditions. Available in 120V 60Hz or 240V 50Hz. AL319 Cast Aluminum Specimen with two holes for thermocouple leads and a 600 grit finish on one side. 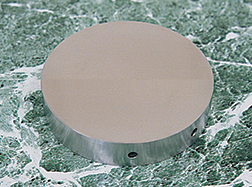 Used in conjunction with P/N TF2424 in heat transfer corrosion testing. Other materials are available at your request.